Who created this video series? Hello, I’m Cal Banyan MA, BHC, MCPHI, DFNGH, OB, and they call me “The authority on hypnosis that works.” Now, after 20 years in the profession, and by popular request I have put together this fun, free and informative video series with co-host Erika Flint, BS, CH, A+CPHI, about the truth about entering into our beloved profession of hypnotism. Who is this video series for? This video series is for you if you are looking at coming into the profession of hypnotism or even if you have already been certified but haven’t really started yet. You will learn some very good reasons to both enter into the profession and some reasons why maybe this profession is not right for you. Watch these videos before enrolling in ANY hypnosis or hypnotherapy training program, and download this checklist. To avoid enrolling in an inadequate or even illegal training program do not enroll in any program that does not satisfy every item in this professional hypnosis training assessment. Here is the checklist! ✔ What Is the TRUTH about the Hypnosis Profession? ✔ “Inside Scoop” on What It REALLY Takes To Get Started! ✔ Remember to get the checklist! ✔ Do You Need to Belong to One or More Hypnosis Organizations? ✔ What Kind of Background & Training Should You Have BEFORE Coming Into Our Profession? ✔ Where Will I Work & More! ✔ Explanation and definition of what hypnosis really is. ✔ Why your school must teach you about depth testing. ✔ What your school must have a world class support system for after you graduate! ✔ We reveal what hypnotic inductions are useful and which are a waste of time. ✔ We let you in on what kind of study materials must be to be available to you after you graduate for maximum success! ✔ Remember to get the school evaluation checklist! Note that the information in these videos apply to all hypnosis certification courses, especially hypnosis certification courses. However they certainly apply to advanced courses as well. ✔ Discover how to keep your hypnosis training investment to a minimum. 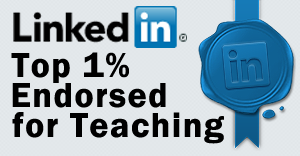 ✔ Discover the right amount of hours needed for certification. ✔ Learn the difference between “hours” and quality training hours. ✔ Revealed… Why you want generalist hypnotherapy training. ✔ Insight on why you need a systematic approach to working with clients. 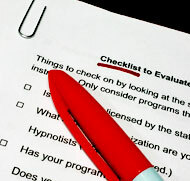 ✔ Get a comprehensive checklist to evaluate a school or trainer. Watch this last video in the series and then take action! Both of my courses, the National Guild of Hypnotists Approved Hypnosis Certification Super Course and my Advanced Hypnosis Certification Course fulfill everything on the checklist below and more, including world-class support after graduation. ✔ How to select the best hypnosis school / instructor for you. ✔ Important legal considerations you need to know. ✔ How to get started quickly in our profession. ✔ Remember to get checklist! learn more about Cal Banyan’s courses! I will be pleased to answer your questions about anything covered in this video series or how to enter into our profession. ✔ Yes, we have early discounts for our courses. Banyan Hypnosis Center For Training & Services is located at 1700 Alma Drive, Suite 360, Dallas, Texas 75075. We will FAX you a map upon request, or happily give you directions on the telephone/cell phone. Copyright ©1996-2019 Calvin D. Banyan. All Rights Reserved.